GameSage allows users to describe a hypothetical videogame and get a list of the existing games that are closest to the description. The extraordinary proliferation of videogames over the past decade has created a "discoverability" problem for game enthusiasts and others, but help is now just a click away thanks to two new web-based tools developed at the UC Santa Cruz Center for Games and Playable Media. UCSC researchers will introduce the new tools in a talk and a demonstration session at the 2015 Foundations of Digital Games conference in Pacific Grove, California, on June 24. GameNet and GameSage were designed not only for game players looking to find new games suited to their individual tastes, but also for game designers, teachers, and scholars, said Noah Wardrip-Fruin, a professor of computational media at UC Santa Cruz. GameNet is an explorable network that allows users to enter the name of a game and get an interactive list of closely related games. 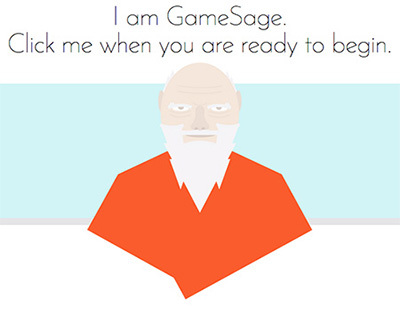 GameSage is integrated with GameNet and allows users to describe a hypothetical game (or a game they can't remember the name of) and find the existing games that are closest to the description. "If you're a game designer with an idea for a new game, you'd like to know what else is out there that's similar. There haven't been any good tools for doing that," Wardrip-Fruin said. UCSC computer science graduate students James Ryan and Eric Kaltman led the development of GameNet and GameSage, with Wardrip-Fruin and Michael Mateas, professor and chair of computational media, as their primary advisers. Both tools are based on an analysis of Wikipedia articles describing nearly 12,000 games. The team used a natural language processing technique called "latent semantic analysis" to analyze the game descriptions and compute relatedness scores. For each game in the network, GameNet provides a summary of the game extracted from Wikipedia, along with links to the Wikipedia entry, Google Images, and YouTube videos of the game. There are color-coded, interactive listings of related games and, just in case you're looking for something completely different, a list of the most disparate or unrelated games. "We tried to make it informative and easy to use, so you can quickly see if a game interests you," Wardrip-Fruin said. The team plans to continue adding games to the network, drawing from at least one other source in addition to Wikipedia. "There are very few notable commercial games that our system doesn't include, although we don't yet have any games released after 2014 because we extracted the Wikipedia text last year," Ryan said. 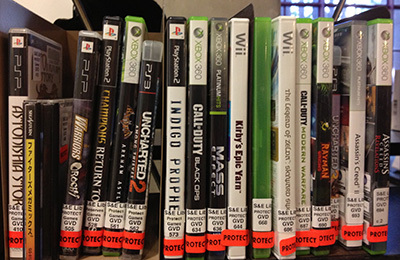 GameNet and GameSage were developed as part of a larger project, the Game Metadata and Citation Project (GAMECIP), funded by the Institute of Museum and Library Services. GAMECIP is a multi-year joint initiative involving the UC Santa Cruz Library, UCSC Center for Games and Playable Media, and Stanford University Library to improve library and institutional practice for computer games. "All the infrastructure we have for books and films has been lacking for games," Wardrip-Fruin said. "We're trying to improve all aspects of how we find games, how we add them to collections in libraries, archives, and museums, and how we cite them in academic literature."